In today's blog tour we are going to be discussing Julie Kagawa's latest novel "Shadow of the Fox". She was born in Sacramento, California, but moved to Hawaii with her family at the age of nine. Kagawa is of Japanese descent. She currently lives in Louisville, Kentucky. Kagawa has written novellas, along with novels. Three novellas were written in the Iron Fey series: Winter's Passage, Summer's Crossing, and Iron's Prophecy. In August all three were published together as The Iron Legends. A short novella of the lovers of the Iron Fey series during Valentine's Day was published on Kagawa's website. 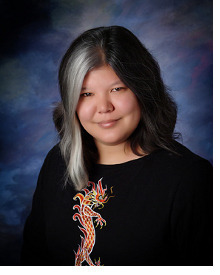 She has written a spin-off series of the Iron Fey called Call of the Forgotten. The first book, The Lost Prince, was published in October 2012. The second book, The Iron Traitor, was published on 29 October 2013. Kagawa's new vampire series is called Blood of Eden. 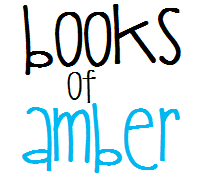 The first book of this series is called The Immortal Rules and was published April 24, 2012. The second book is titled The Eternity Cure and was published May 1, 2013. The series has been optioned to become a movie by Joni Sighvatsson of Palomar Pictures. Kagawa has also opened her own Etsy shop where she sells her miniature clay figurines.She also draws illustrations that match her books. I was really excited to read "Shadow of the Fox", having read her other series "The Immortal Rules". I knew I was going to dive in with ease as I love Julie's writing style. As lovely a person as she is in real life, she's also a fantastic author, and incredibly talented. 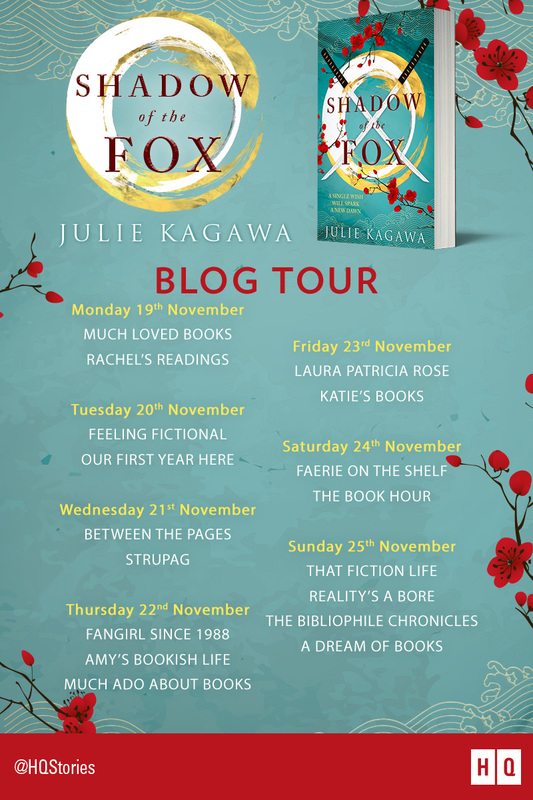 "Shadow of the Fox" is a Japanese tale spun into a web of pages to have us hooked from the beginning. It had me in awe and I was forever wanting to know more. This world is unique in itself with samurai, demons, shapeshifters and more. Julie Kagawa does it again. 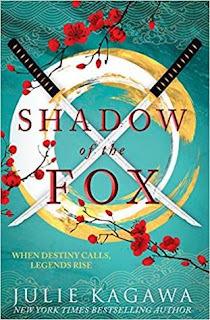 Don't forget to add "Shadow of the Fox" to your TBR. A massive thank you to Nina for letting me be a part of this tour.